What scares you about insects? I asked a ten-year-old child at Art in the Garden, the pilot summer youth program that OMA launched in June. The child had shrieked for the third time as a “roly poly” crawled near her place at the picnic table. 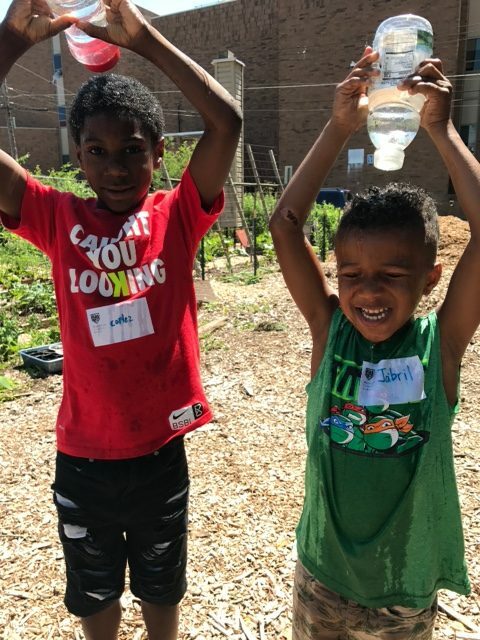 Art in the Garden seeks to foster our youth’s emotional intelligence and sense of the connectedness of all beings with the earth and with each other. 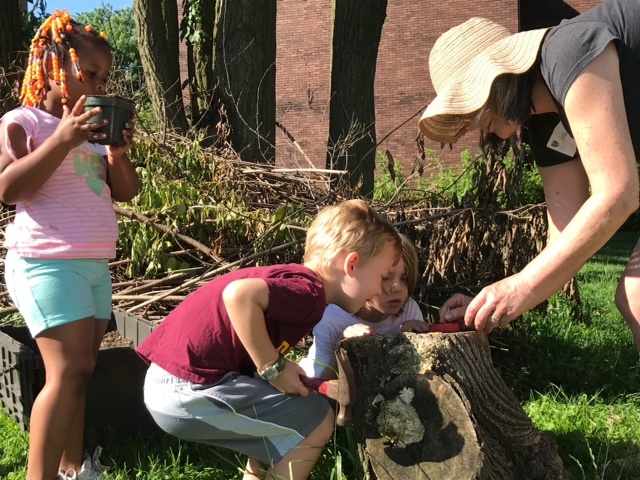 At first glance, it may have seemed that the children at the picnic table were feeling a little too connected to nature! –What insects scare you? I asked the picnic table group. —Bees, one child said. Cockroaches, said another. –What scares you about bees? –Does anyone know the best way to keep a bee from stinging you? —Stay still and don’t scream! Another child quickly added. –What scares you about cockroaches, I asked? –No, a child added. But they crawl and they are big. —Yes, I can see that. Did you ever think about how you might look to a cockroach? Imagine you are a cockroach and here comes one of us. We aren’t gonna squash it, we are just near it. But it doesn’t know we aren’t going to squash it? How do we look to the cockroach? —Exactly! It helps me to be less scared of insects, when I try to imagine how the world would look if I was one of them. “Too close for comfort,” the saying goes, but maybe these children—like so many of us—have been feeling too far from nature. I have killed many mice in my house, and the way I have been able to kill is by distancing myself from who I would exterminate: not thinking they are sentient beings, not thinking about their desires, hopes, needs, babies to birth and to feed, nests to build, crumbs to gather. 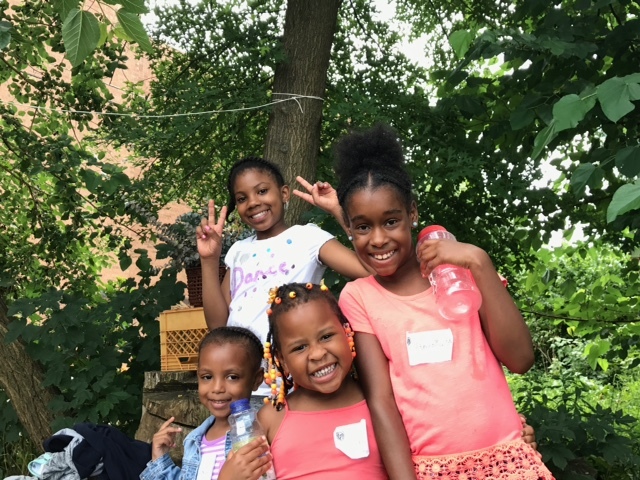 The mission of Art in the Garden is to create a space for youth to feel with and be with the living beings all around them, including themselves and each other. I completely share your philosophy about the interconnectedness of all living things and about teaching children, starting when they are young, to respect and love the earth and its myriad creatures. When my son, Brian, now a grown man with his own son, was a little boy, I gardened with him and his friends every summer. I was a renter and always had to ask permission to dig up the landlord’s property, but they always said “yes,” and we would all go over to the garden center (which was on Beechwood Boulevard at the time) and the boys and girls would pick our two packets of seeds each. They knew they were responsible for these living, growing plants, and they took it to heart. At summer’s end, each year, we would have a big “garden party” potluck, where all the parents came. 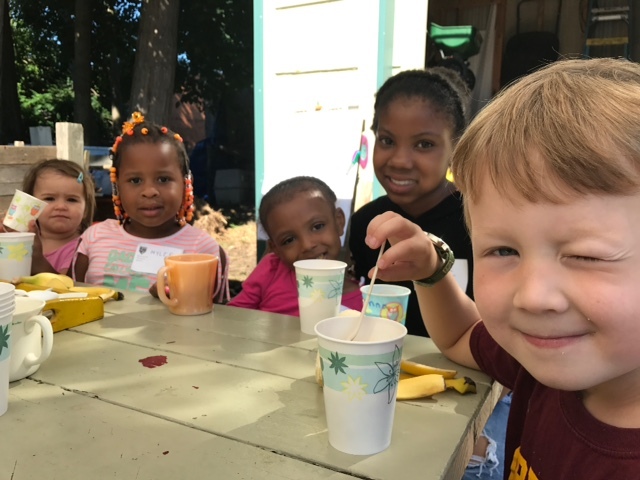 The children had harvested their corn, tomatoes, lettuce, peppers, peas and some of the flowers, and we shared a meal from the garden together. It was magical. My son, now, is a gardener of his own property and is teaching his son how things grow and how to love and value the natural world. I love that you’re doing this, which is why I contributed money to the effort. Maybe sometime, I might volunteer with it, should you need any other “hands” on deck. thank heaven for people like Robin and Emily and those who help them. Though my immediate emotion on seeing a cockroach might not change completely i will at least give that particular cockroach a different consideration when we meet next time! the best thing about what Robin and Emily do is they create OPENNESS – the willingness to learn about things we had been closed to or frightened of before. KEEP UP THE GOOD WORK, LADIES! !